Biotech stocks are performing well with double-digit gains for key indexes so far in 2018. Nonetheless, the biotech stock index returns do not appear to be favorable to the risk that biotech investors assume when compared to the performance of broad-based indexes. The drug pricing issue remains a conundrum that will persist and affect valuations. The index strength may mask the strength of many individual companies though, and promising opportunities continue to exist. We anticipate higher volatility in October leading up to the elections and a more favorable environment thereafter in November and December. As the S&P 500 (SPY) and the Dow Jones (DIA) indexes recorded new highs last month, other indexes were consolidating and drifting lower. The Nasdaq (QQQ) retreated a little less than -1%, after being down nearly -3% during the month. The smallcap index Russell 2000 (IWM) held up well earlier in the month, only to slip sharply and diverge with the larger indexes, giving up nearly -3%. As can be observed from the chart above, the biotech indexes had a different story to tell in sharp contrast to all the larger indexes. The biotech stocks declined sharply at the beginning of the month, with the S&P Biotechnology Select Index (XBI) declining over -5%, and the Nasdaq Biotechnology Index (IBB) declining over -3%. However, the larger cap weighted Nasdaq Biotech Index recovered sharply during the second half of the month to notch up a nearly 1% gain. But the smallcap-midcap weighted S&P Biotech Index remained down over -3%, most likely reflecting the broader pullback in smallcap stocks. It was interesting to note that the larger cap biotech stocks, like Gilead (GILD), Alexion (ALXN), Vertex (VRTX), and Amgen (AMGN), represented in the Nasdaq Biotech Index, are outperforming the small and mid-cap biotechs represented in a higher proportion within the S&P Biotech Index. It is the first time in nearly two years that larger cap biotechs are outperforming smaller cap biotechs with some consistency and vigor rather than for short, fleeting periods. As sector followers would be aware, even after this relentless bull run over the past two years, the Nasdaq Biotech Index still has to rise another ~10% from the current levels to eclipse the prior high set in mid-2015, a milestone already achieved by the S&P Biotech Select Index earlier this year. So there is at least some comfortable room to run for larger cap biotechs before they reach new territory. We anticipate the divergence between large and smaller cap biotech stocks to remain pronounced during October as risk averseness continues to rise during the month, driven by the typical repositioning prior to elections. Biotechnology remains a dynamic sector with promising opportunities. However, looking at the returns this year, it seems the overall performance of the sector is being held back. 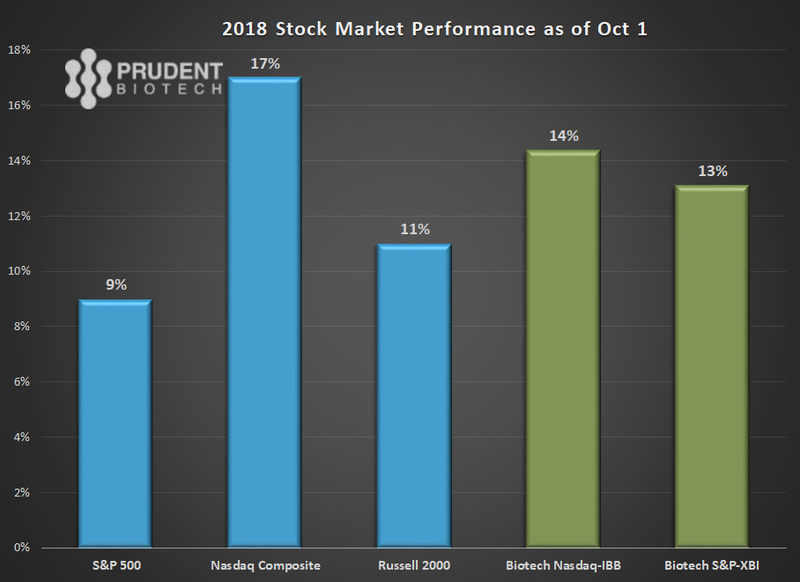 Considering the much higher risk inherent in biotech stocks, the industry's performance had not been much more rewarding this year, in what can be described as a favorable environment for stocks, when compared with other market indexes. Biotech performance is somewhere in the middle-of-the-pack of broader-based and less volatile indexes. The key conundrum facing biotechs remains the drug pricing issue and the pressure to rein-in prices. Rising drug prices remain a topmost healthcare concern for most citizens, and when biopharma raises its prices, justifiably or not, it does provide an easy target for politicians to highlight during an election year. The drug pricing concern remains elevated in the minds of consumers as they witness rising health care costs hurting their own paychecks and budgets. Drug prices are the universal bete noire when most Americans see their health care deductibles and out-of-pocket costs rising. 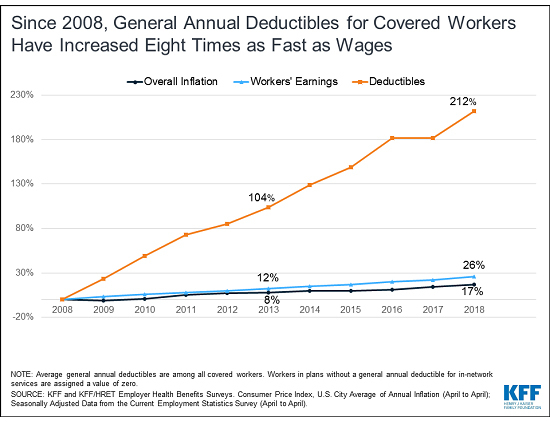 A report from Kaiser Family Foundation this week notes that deductibles have tripled over the last 10 years, and have risen 8 times faster than wages. The quote above succinctly captures the drug pricing issue and the reason why it has become such a prominent political issue as well. The overhang of drug pricing on valuations is a difficult conundrum for investors to resolve and perhaps it's even unresolvable for now. Investors will have to continue accepting it as an issue that will persist for the biopharma sector, and hold back valuations. It should be kept in mind that even though the pricing concerns persists there is no legislative effort at this time in the form of bills towards regulating prices. The last effort earlier this year resulted in an industry-benign blueprint, American Patients First, to lower drug prices. The drug pricing issue does not suggest that one should avoid the biotech and pharmaceutical companies. On the contrary, the biotech sector continues to offer promising opportunities for gains in an overall favorable market environment. Perhaps the indexes are masking the strength. 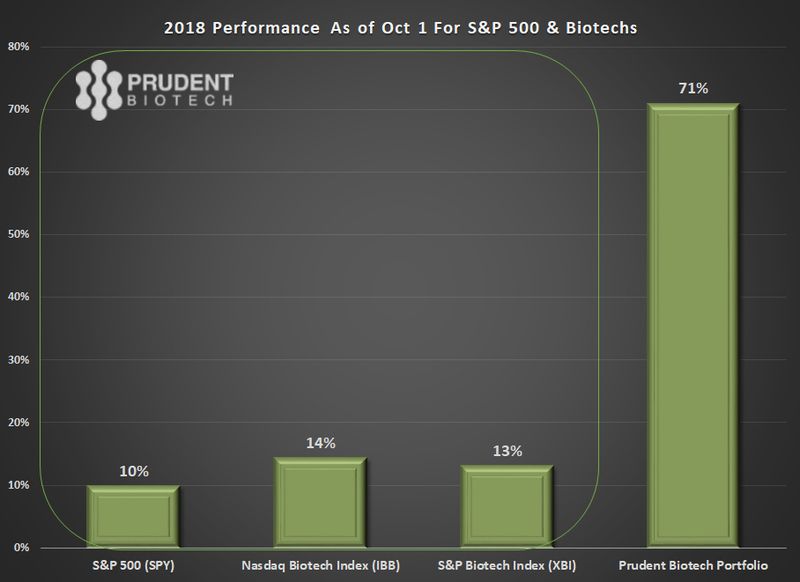 The Prudent Biotech Portfolio is up +70% as of Oct 1. The same is true with the pharmaceuticals industry, which has been performing well overall and recording new highs, with some of the notable companies like Merck (MRK), Pfizer (PFE), and Eli Lilly (LLY), trading at all-time highs. We anticipate growing volatility for the biotech stocks in October as investors begin to scale down the risk exposure, particularly with the upcoming elections in November. This will affect small caps harder than larger cap stocks. Consequently, we have scaled down the portfolio exposure in the Prudent Biotech Portfolio to 75%, and the Graycell Small Cap Portfolio to 80%. The November elections will not change the policy front dramatically, even with a change of control in Congress. But it can potentially raise the pressure on drug companies with more frequent hearings. We anticipate the higher volatility to subside in November and December with a more favorable investing environment. We had earlier discussed the prospects for biotechs in the second-half outlook, Biotechs Building Momentum. 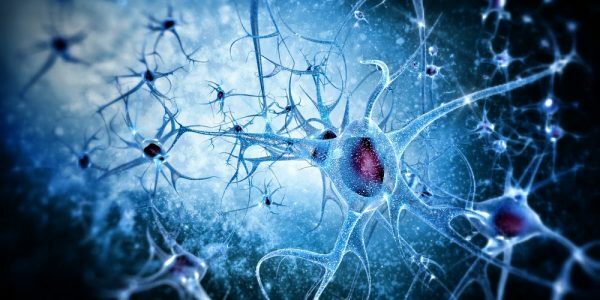 There are a number of promising biotech companies and some of them, which may be now or in the past part of our model portfolios, include Vertex Pharmaceuticals (VRTX), Ligand Pharmaceuticals (LGND), Regexbio (RGNX), Sarepta Therapeutics (SRPT), Neurocrine Biosciences (NBIX), Endocyte (ECYT), Arrowhead Pharmaceuticals (ARWR), Amarin (AMRN), Viking Therapeutics (VKTX), Intercept Pharmaceuticals (ICPT), Endo International (ENDP), Fate Therapeutics (FATE), ProQr Therapeutics (PRQR), Adaptimmune Therapeutics (ADAP), Reata Pharmaceuticals (RETA), Ra Pharmaceuticals (RARX), Arena Pharmaceuticals (ARNA), and Affimed (AFMD). Author's note: As always, kindly do your own due diligence. The small cap/early mid-cap and biotech sector carry more risk of losses than the broader market. Opinions can change with time and additional data.